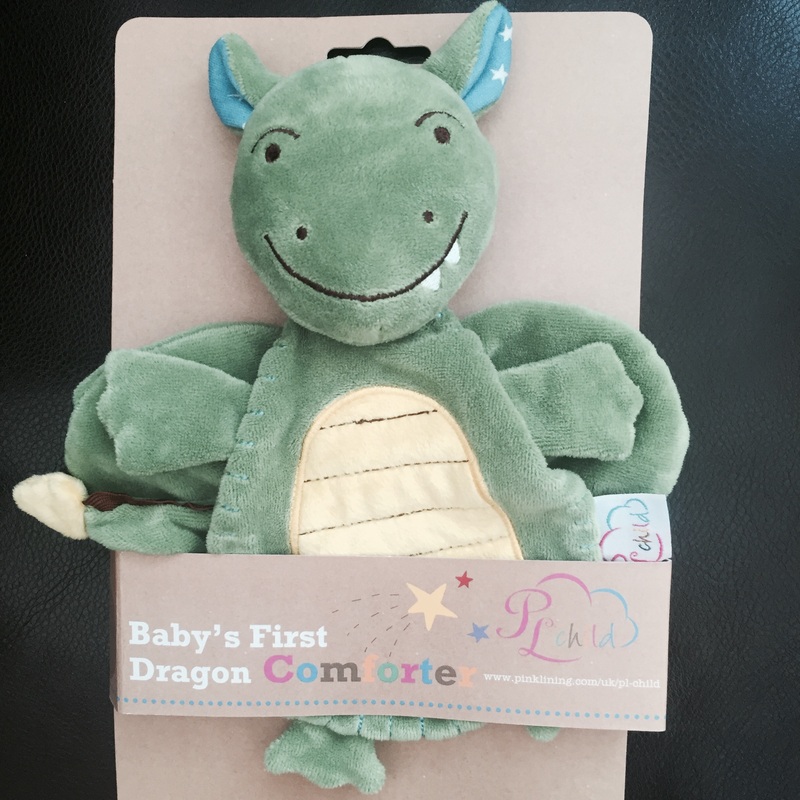 The dragon comforter retails at £10 but is also available when you buy the Pink Lining bedding set. I think the price is a reasonable amount as the quality of this product is lovely. The material is super soft so you don’t need to worry about it scratching or irritating your baby’s skin. The design caught my eye straight away, it is cute and cuddly but still appealing to both genders. My newborn has fallen in love with this, he loves having it next to him as his comfort, and I’m sure when he gets a little bit older he is going to enjoy fiddling with the wings and tail on this little creature. What pleases me most is how Pink Lining have catered for little boys within a lot of their range as stereotypically “girls have the soft toys/doll’s and boys have diggers and cars.” I am more than happy for my son to play with this, and even my toddler likes to run around with it. I would defiantly recommend putting this on your shopping list if you’re a mummy to be or already have your little ones.